Watermelon is rich with nutrients like vitamins A, C, B6, potassium and thiamine. As a matter of fact, a big slice of watermelon contains almost half of your daily needs for vitamin C (so be sure to have two slices!). Besides vitamin C, watermelon is rich with other important antioxidants such as beta carotene and lycopene. This fun, refreshing and decadent drink is super rich with antioxidants as additional ones are gained by adding the cocoa. It is incredibly easy to make and is perfect for a hot summer afternoon! 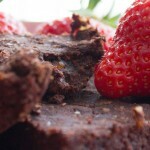 Add more or less cocoa powder depending on your preferences. If you like more of the watermelon taste, then just add 1 tablespoon. If you enjoy the chocolaty taste, feel free to add more! You may choose to take some of the watermelon cubes and freeze them first. By adding some fresh and some frozen cubes to the blender, it makes the drink colderand even more refreshing and fun. 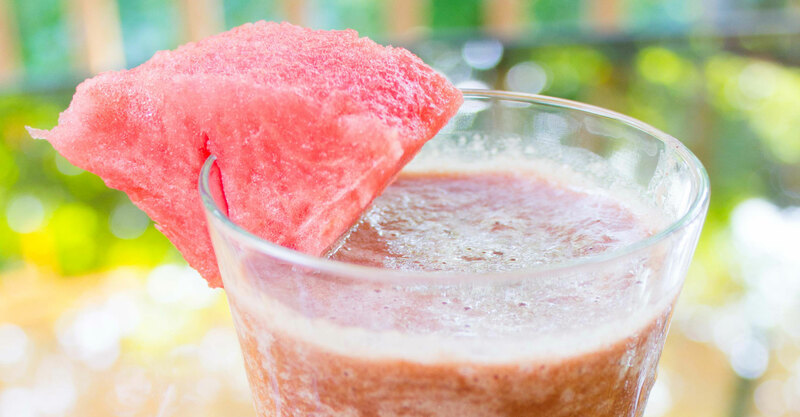 If you are not in the mood for chocolate, then add mint or a squeeze of lime to the watermelon in the blender. You may also choose to add fresh or frozen berries of choice for a nice twist and even try adding a small piece of ginger, for added health benefits and flavor.